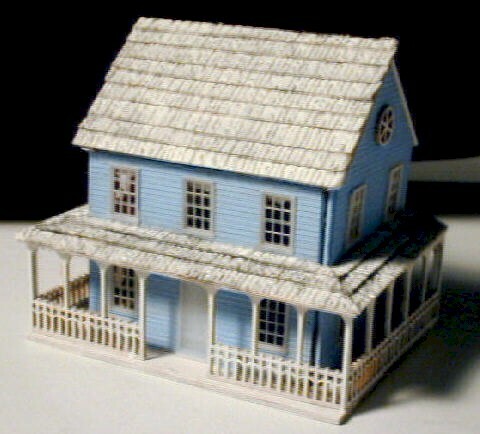 Grace constructed this structure from two, two story garage addition kits by Yankee Miniatures (1993). 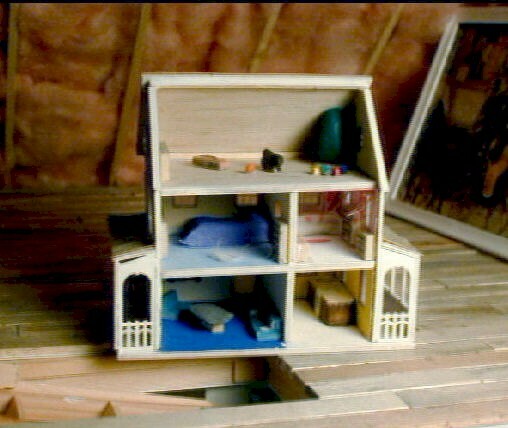 She replaced the roof and floors to connect the two kits together, then wired the entire dollhouse herself. The lower level is a garage with a "concrete" floor and cinder block walls. One side of the garage will be used as a shop/laundry area. 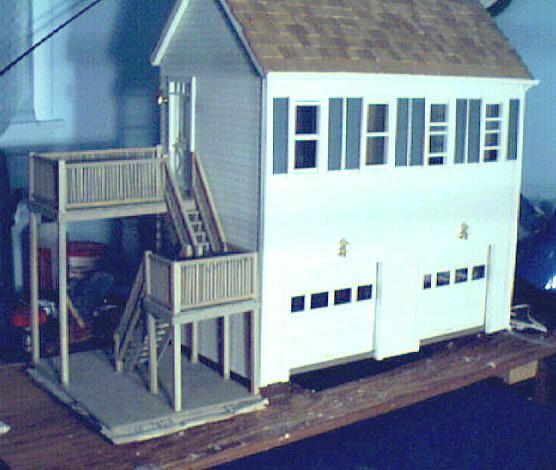 Grace designed and built the deck which is the main entrance into the efficiency apartment above the garage. The second floor has affectionately become known as the "In-law apartment." In the living/bed room is a futon designed and constructed by Verg Baggot, along with matching draperies. A hand painted fuchsia hutch, by Louise Young is another treasure. Grace constructed the kitchen cabinets and appliances scale because the room is too narrow. 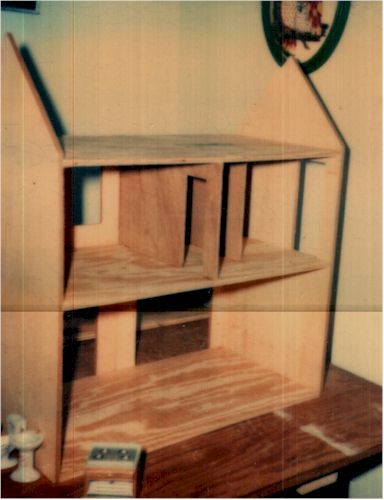 "I wish I had made the whole structure a little wider, but this was my first attempt at building a dollhouse. I inherited the manor house." The third level is the attic. "I filled the attic with accumulated clutter, just like a real attic!" One prized possession is an English rocking horse by Peter Cook & Annie Logan of West Sussex Woodencraft. There is also a large painting that was created & donated by Grace's good friend, Dina Watts. After ten years this project is completed. You can also visit the manor house, Dogwood Plantation (by clicking this link). Enjoy your stay. This little 1/144 kit came from Northeastern Scale Models. My friend Micki (in Scotland) challenged me to furnish it. Didn't do a great job, but this is my first 1/144 scale project.